What Turns your Cat into a Party Animal and What Makes your Dog Bark Happily? According to veterinarians, the fact that an improper diet plays a role in or even causes an animal’s ill health is indisputable. The burden on an animal’s organism makes them susceptible to such diseases as diabetes, cancer, circulatory and heart related illnesses. Therefore, food that maximally spares an organism and provides defence against the negative impact of other influences provides suitable protection of a pet’s health. What should pet food contain so as not to cause harm to an animal but, contrariwise, contribute to their overall condition? Have a look at which substances have preventive effects and find out if your pet food contains them too. Dogs and cats commonly suffer from allergies – a worsening condition of modern civilisation. It is advisable to react quickly to this ever-present reality by changing the type of pet food we use. Most often, this immunological reaction attacks an animal’s organism in the form of food allergens, infiltrating the body through intestinal mucosa and causing a number of problems including diarrhoea and inflammations. Quality pet food products contain, apart from their primary meat component (lamb, salmon) other hypoallergenic ingredients such as rice or potatoes which have a low protein content. It is proteins that cause hypersensitive reactions. Besides the above mentioned dietary factors, some producers of super premium nutrients go even further. For example Vafo, the Czech producer of Brit pet food, began adding dried apples, a source of fructooligosaccharides, into their recipes. Nutrition specialist, Martin Kváš, states on this subject, “These ingredients support positive intestinal microflora, favouring an organism in its competition with other, often harmful intestinal bacteria. The result is the same as in humans: the digestive tract functioning properly influences other positive biological functions.” A lack of these components in a pet’s organism causes shorter or longer intestinal passage and impaired digestion in cats and dogs. An animal can then become prone to diseases and may lack vitality since the base of the immune system lies in the intestines. Omega-3 and omega-6 fatty acids, which are most effective when used in the correct ratio of their recommended daily allowances, figure among other supplementary substances often discussed today. They are contained in pet food in salmon oil and fulfil important functions in a number of biological reactions, ranging from boosting immunity, pressure influencing processes and blood clotting ability, to the efficiency of strong anti-inflammatory effects. Their lack may be the cause of depression, fatigue, disorders in skin reparation, etc. Omega- and omega-6 fatty acids have a favourable influence on the nervous system and effect an animal’s mental performance and learning abilities. In addition to this, they form the indispensable building blocks of cellular membranes. Quality dog and cat food also contains a special hydrolyzed protein which (apart from its taste which is enticing to animals) secures high digestibility, even up to 90% in some types of pet food. Therefore, food portions are smaller and consumption is more economic. A highly efficient anti-oxidation complex is ensured through high levels of vitamin E combined with the organic form of selenium, a natural anti-aging factor. Martin Kváš also confirms this, “Vitamin E and selenium create the groundwork for the protection of an organism against the effects of free radicals that damage cells. There is very little selenium in the soil and plants in our region, so it is advisable to provide it in the form of a food supplement, especially in its organic form.” When combined, vitamin E and organic selenium lead to the strengthening of cellular membranes, functioning as a barrier slowing down the organism’s aging process. Every single cell in an animal’s body is literally covered with a cellular membrane protecting the cells against damage. Vitamin A, which is, among other things, a source of nutrition effecting eye pigment that supports sight in low light situations, also excels in its anti-oxidant performance. Yet another vitamin, ideally contained in your pet food, is vitamin D3. Vitamin D3 is a factor supporting the overall health of an organism: it controls the metabolism of phosphor and calcium and neuromuscular functions. Its deficiency is related to several diseases, including joint pain, cancer, depression, and eventually decreased immune capacity. Another important and beneficial component of quality pet food is yucca extract which decreases the amount of ammonia released in the intestines protecting animal’s against seizures similar to epileptic fits. An animal’s liver and haemoglobin, which transports oxygen from the lungs to tissue, are also protected against the toxic effects of ammonia thanks to this additive. As a bonus to pet keepers, yucca extract also decreases the unpleasant smell of animal excrement. Furthermore, the importance of methionine amino acid shouldn’t be forgotten which, combined with a mixture of chondroitin and glucosamine support cartilage development. In addition to this, calcium and phosphor contribute to the healthy state of bones and teeth. Tartar prevention is also influenced by the shape of dry pet food; research has proven that the chewing of dry diet food of the proper shape and size influences an animal’s teeth more than, for example, tooth brushing. In addition to bones, joints, and teeth, a suitable pet food also cares for an animal’s skin (or fur to be more precise), specifically thanks to the above mentioned omega-3 and omega-6 fatty acids. According to Jan Šíma, veterinarian and head of an on-line veterinary advisory centre, quality pet food products meet other special requirements apart from having the aforementioned health advantages, “An example may be a menu designed for dogs with diabetes which does not contribute to an increase in blood glucose levels thanks to its unique admixture of potatoes with farina. When combined with salmon they do good to dogs with very sensitive digestion. Light pet food for overweight animals is developed on the basis of highly digestible protein with reduced sugar content.” However, individual requirements not only apply to dogs: “Food for cat neuters contains components protecting renal and urinary tracks and, at the same time, the composition of this type of dry food decreases production of dental plaque as well as tartar. For example the favourite food mixture for cats living in apartments also contributes to an easy passage of trichobezoars (hairballs) through the organism while foodstuffs for long-haired cats enriched with organic zinc in addition to salmon oil enable one to cope with the demanding care of these cat’s fur, with particular attention paid to its strength and shine,” adds Jan Šíma. What Should Definitely Be Left out? Generally, any pet food containing soy (soy beans, soy oil), which makes food hard to digest and fatty, cannot be recommended. A guarantee of poor quality and fur colour are admixtures marked as vegetable oils. Neither beef nor pork, high in proteins which may give rise to allergic reactions are appropriate. The needs of your carnivore will be satisfied much less with by-products of animal origin that are, again, only substitutes for fresh meat. Another food product that causes allergies due to its high protein content is wheat. And it is even possible to come across pet food containing by-products of plant origin. The absence of typical allergens such as gluten, colouring agents, chemical food preservatives, eggs or milk should be a matter-of-course. They lead to weight loss, indigestion (or vomiting), skin disorders (itching), rash (eczemas) and immunity-related problems. Popular, yet unhealthy admixtures, are also various chemical flavour enhancers. Quality pet food is not chemically coloured, i.e. all of the pieces of food are of a similar size and colour. When soaked, the higher the pet food quality, the less it swells, and the hardness of dry pet food should also be tested – the harder it is, the healthier effect it will have on your animal’s teeth. The life of your dog and cat goes through its stomach and if you intend to target their good health and longevity, an ideal approach would be to prefer high quality industrially prepared food products. This type of “instant health package” contains all of the necessary and supplementary supportive ingredients. The proper dose of these elements has already been tested for you by specialists, the only thing you have to do is serve it to your pet. VAFO Praha s.r.o. is a Czech pet food producer – a family run business which has been focused on the development, production, and distribution of pet food since 1994. The company represents the Brit and Astor brands in 45 countries throughout the world. 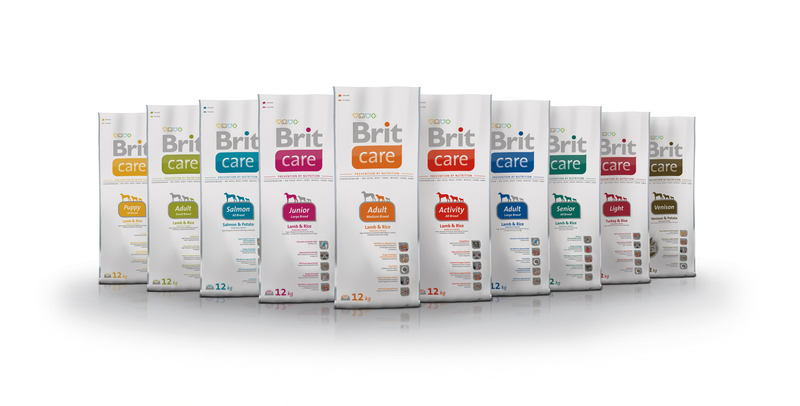 The development and production of the Brit pet food brand is based on long-term experience with and knowledge of healthy dog nutrition with maximum respect to a pet's health and well-being. 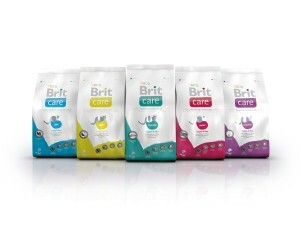 The professionals responsible for the development of the Brit pet food brand are breeders and dog owners. 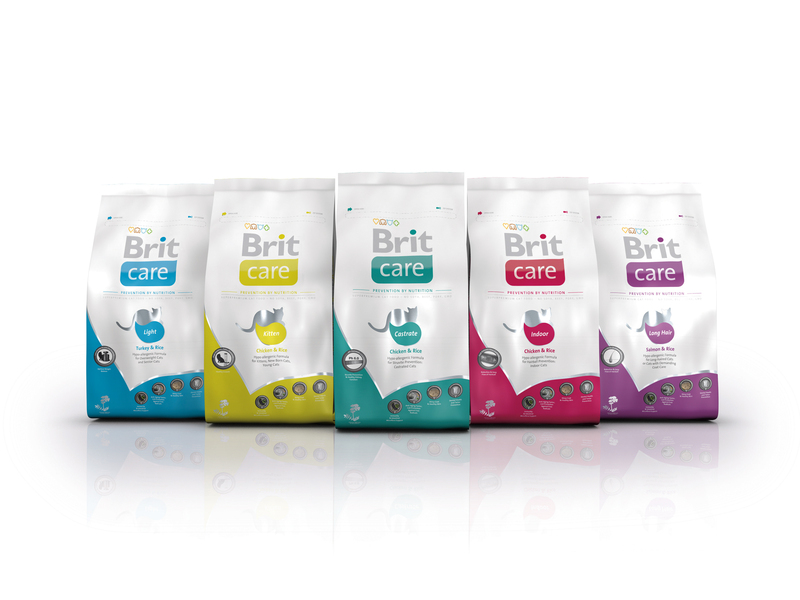 Brit has been cooperating closely with professionals from the industry with the aim of producing pet food that will meet even the most discriminating demands on quality.